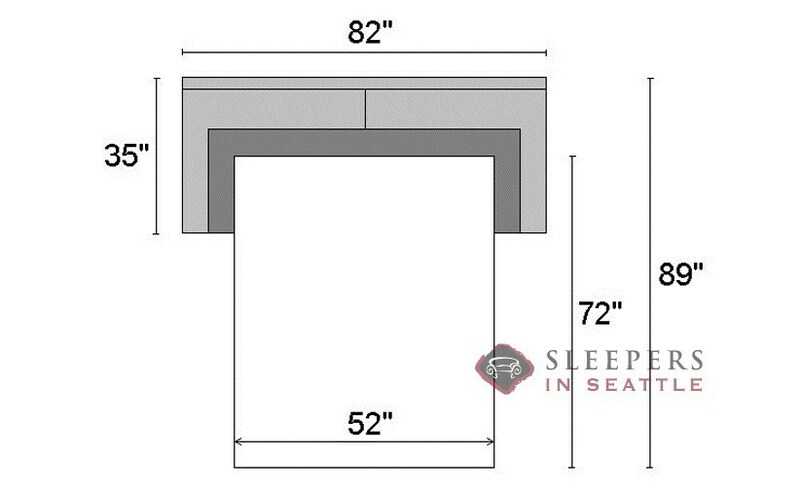 Track arms along a minimalist frame define the Ross Full Sleeper Sofa by Lazar. Thick seat cushions flow to a (supportive but soft!) tight-back. Select from wooden legs with over 15 color options or go with the metal finish for a modern splash. Take the Ross to our Sleeper Design Center to choose from hundreds of fabric and leathers! A lovely specimen of modern furniture. It's a great fit for our apartment, and the fabric looks better than I imagined it. This is probably the most excited I've been about a piece of furniture. It's so streamlined, I can't believe there's a mattress is there. It's like furniture magic! Can you tell me what fabric is in the photo for the Ross Full Sleeper? 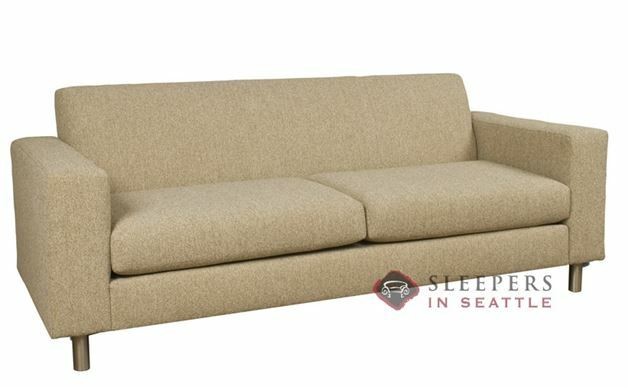 The Ross Full Sleeper in this picture is upholstered in Woolco Beige. The Ross Full Sleeper does include foam with flame retardant treatment, as required by California State law. 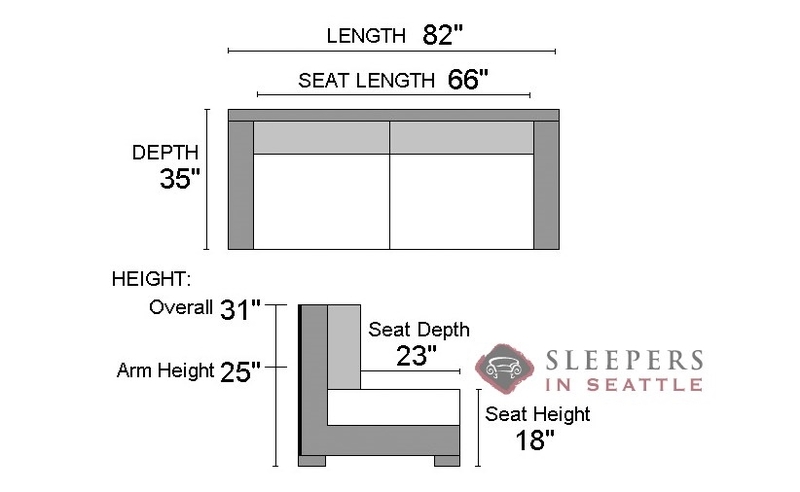 The fabric options are not treated with chemical stain resistant.